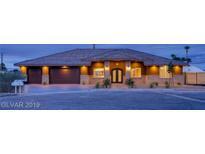 Below you can view all the homes for sale in the Warm Springs Reserve subdivision located in Las Vegas Nevada. 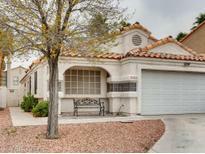 Listings in Warm Springs Reserve are updated daily from data we receive from the Las Vegas multiple listing service. To learn more about any of these homes or to receive custom notifications when a new property is listed for sale in Warm Springs Reserve, give us a call at 702-323-5939.
ft. cul-de-sac lot,2 RV gates w/hookups & covered patio.This custom-built residence is as functional as it is beautiful. MLS#2088098. BHHS Nevada Properties. Vaulted Ceilings, Two-tone Paint, Tile Flooring throughout except in Bedrooms, Ceiling Fans, Fireplace, Large Master Bedroom with Walk In Closet and Easy maintenance Landscaping! MLS#2080088. Realty ONE Group, Inc.
Travertine driveway, Smart Home system, Centralized dimmer for entire house, Travertine/bamboo flooring throughout, Pella triple pane windows,Custom Italian Snaidero kitchen, Sub Zero/Miele appliances,5 patios, 65,000 gallon pool/spa/waterfall, Outdoor Koi Pond,RV. MLS#2068016. Resolution Realty.